Singapore may be a small country, but it’s got big love for crypto. According to Cointelegraph, 10 countries account for 59% of all ICO projects launched since 2015. 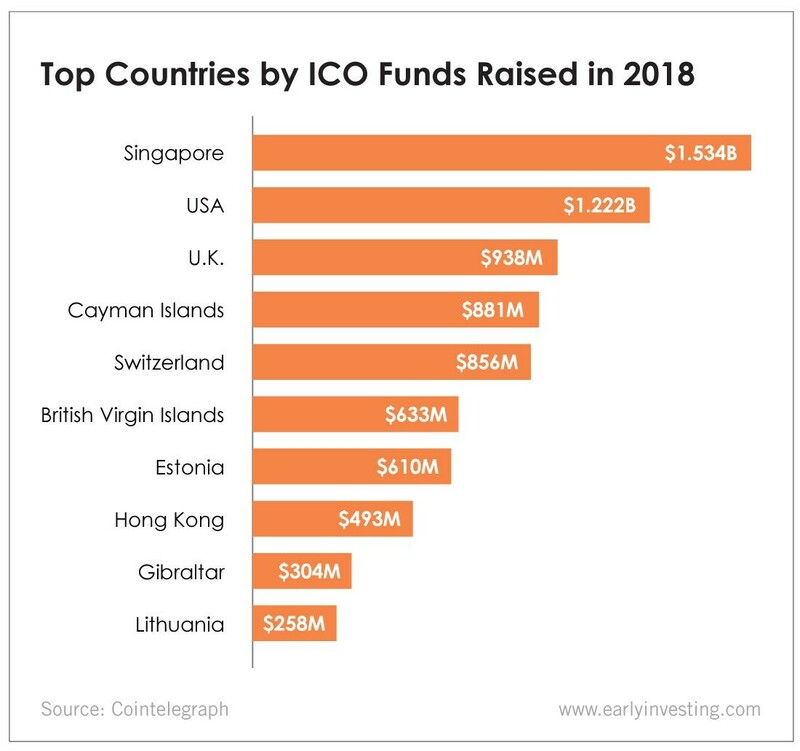 Singapore, the U.S. and the U.K. consistently rank in the top three in terms of number of completed ICOs and funds raised. In 2018, Singapore surpassed the usually top-ranked U.S. with $1.534 billion in ICO funding. Midway through 2018, Singapore was recognized as one of the top three most important ICO hubs worldwide. It’s earned this title largely due to the progress it’s made on crypto regulations. In a November 2018 update to its digital tokens guide, MAS introduced the Payment Services Bill (PSB), which mandates that any business that in some way handles or facilitates digital token payments must be licensed and regulated under the PSB. Singapore has taken a very forward-looking approach to blockchain and crypto, and with that, it is getting the results of some of the best cutting-edge technology, including using ripple to move money across borders. Singapore even has a “Token Day” (that’s almost three weeks long). Crypto company Bizkey launched Token Day to celebrate the 10-year anniversary of crypto and familiarize the public with cryptocurrency. With Token Day, Bizkey aims to demonstrate the ease, convenience and security of accepting crypto. And mainstreaming crypto falls in line with Singapore’s bid to become a fintech hub. To top it off, the country will be hosting Blockchain Life 2019, a worldwide crypto forum in April. The conference expects to have more than 5,000 attendees and 80-plus speakers. Singapore has more than proven itself as a crypto ally. We’re excited to see what it does next… and who will follow its lead.